Summary (from the inside flap of the book): On the right side of the law--sort of--Sebastian Rudd is not your typical lawyer. His office is a customized bulletproof van, complete with wi-fi, a bar, a small fridge, and fine leather chairs. He has no firm, no partners, and only one employee: his heavily armed driver, who also happens to be his bodyguard, law clerk, confidant, and golf caddie. Sebastian drinks small-batch bourbon and carries a gun. He defends people other lawyers won't go near: a drug-addled, tattooed kid rumored to be in a satanic cult; a vicious crime lord on death row; a homeowner arrested for shooting at a SWAT team that mistakenly invaded his house. Why these clients? Because Sebastian believes everyone is entitled to a fair trial--even if he has to bend the law to secure one. Review: Yep. Another John Grisham novel. 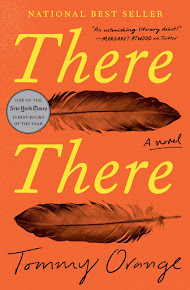 I know (mostly) what to expect: a good storyline; interesting characters; and fast-paced action. This book did not disappoint. 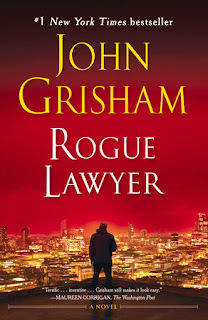 Rogue Lawyer differs from Grisham's other law stories in that it feels more like a series of stories rather than one long novel. Usually one main character has one major case that lasts the length of a Grisham novel. Rogue Layer, however, has six parts, which all have the same lawyer covering six different cases. Some elements/stories reappear later in the book, but it's nice to get multiple storylines. As with all Grisham novels, the reader knows just what s/he is going to get: good story telling; a lawyer on the side of the defendants (not always the good guys); and a fast-paced story. Rogue Lawyer definitely has all of these. Sebastian Rudd, the lawyer, isn't exactly someone that I would want to spend time with, but if I was charged with murder he'd be my guy. He knows all the tricks, has lots of useful contacts, and isn't afraid to bend the rules a bit. One thing I wish Grisham did better was female characters. There often aren't any or very few and they are either beautiful or fat (and, therefore, unattractive) and don't have much to contribute to the story. 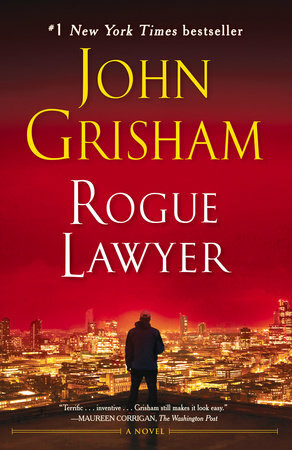 I will continue to read Grisham's books whenever he writes a new one.